Convocation sejm in Warsaw. 1764. 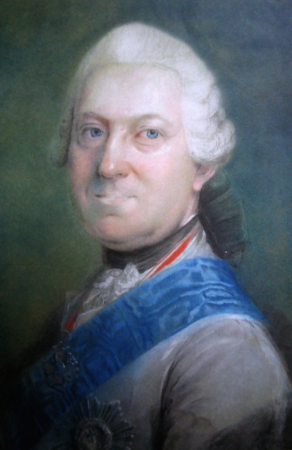 The sejm was convened by the primate Władysław Łubieński in November 1763. The pre-sejm sejmiks were held in February and March of 1764. 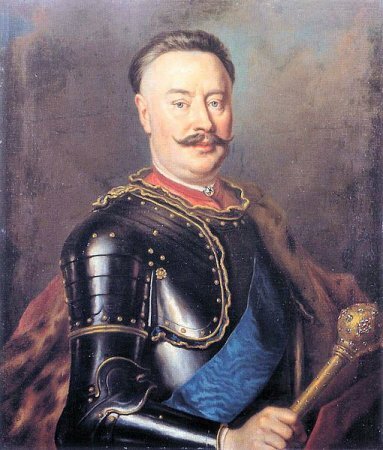 Prince Adam Kazimierz Czartoryski, the general of the Podolian territory, was elected the marshal. The sejm began proceedings on 7 May same year. The sejms proceedings were held under power of Russian troops, which entered the territory of the Commonwealth at call of the Czartoryskis, trying to force some reforms. 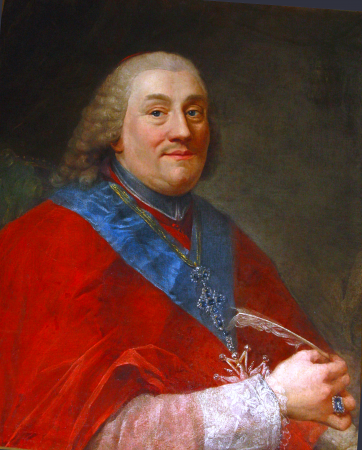 The members of the Czartoryski family broke the opposition’s resistance, which leaders - hetman Branicki and Karol Radziwiłł - were forced to leave the country. Czartoryskis referred to the nature of the convocation sejm, which was in fact a confederated sejm, what meant that it could not be disrupted as the rule of majority voting applied. They carried out rugi of the deputies [that is checking the validity of deputy mandates] and gained majority in the sejm, especially becase the opposition, in protest against the Czartoryskis’ actions, refrained from taking part in the sejm. 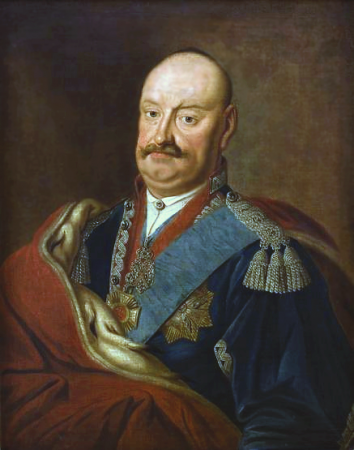 On 16 May 1764 Andrzej Zamoyski presented the reform programme. It was postulated to establish a majority voting, to create a permanent council and grant it the executive powers, and finally to change the form of the higher offices in the Commonwealth to a collegiate nature. In the course of struggle in the convocation sejm, it was possible to adopt only some of the proposed refroms. The proceedings were enhanced and improved by adopting a new statute of the proceedings, “taking an oath on the deputy’s instructions” [the sejmik or deputy’s instructions were a set of decisions made by a sejmik, which the elected deputy swore to enact during the general sejm, what lead to many struggles] became forbidden, majority voting was allowed in fiscal and economic matters, military and fiscal committees were chosen, in form of collegiate bodies, assigned to Hetmans and Court Treasurers, which seized most of their authority with time. 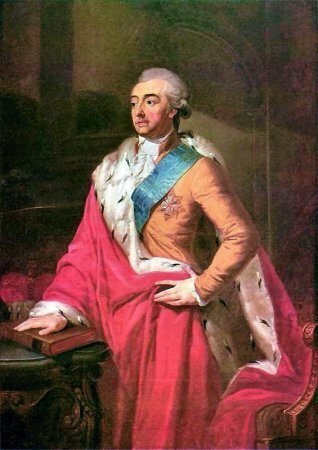 Moreover, jurydykas [that is small towns or enclaves in cities, owned by nobility, beyond the jurisdiction of the town nearby] in royal towns were limited, private tariffs were abolished and instead the general tariff was established and finally the inspection of the Crown lands was adopted as well. The sejm finished proceedings on 23 June 1764. See: J. Michalski, Sejm w czasach panowania Stanisława Augusta, [Sejm under the rule of Stanisław II Augustus] in: Historia sejmu polskiego [The history of Polish sejm], t. 1, Warszawa 1984, red. J. Michalski, s. 350-419; Z. Zielińska, Sejmy polskie z lat 1764-1786 [Polish sejms in years 1764-1786], Warszawa 1995; Z. Zielińska, Polska w okowach „systemu północnego”. 1763-1766 [The Commonwealth trapped in the “northern system”. 1763 -66], Kraków 2012; Ustawodawstwo zob. Volumina legum, Wyd. J. Ohryzko, t. 7, Petersburg 1860, s. 1-192.